Today was a strange day for me. It was filled with very mixed emotions ranging from huge sadness to pure joy. I had no idea that such an emotional rollercoaster could be so exhausting. Thus we had a need to turn on some comfort TV, just so we could stare at something. Do you know what we picked? We chose to watch “West Wing”. It might sound like a weird choice for some of you but if you have ever watched the series you will know why we picked it. It is packed with people you care about and despite the fact that it is about US politics we find it very comforting. I have an extremely exciting project “brewing” in the near future, but I am quite unsure at this point if I can talk about it, so I will have to wait few a few more weeks before I can start blabbing all about it. By the way before I forget I won that breakfast challenge, so a huge, huge “Thank You” to anyone who voted for my breakfast pancake recipe. Oh, and you know what… my crisp sarnie won a Seabrook crisps’ competition and we are going to be on a billboard 🙂 How cool is that! And now if you still don’t know what this is I will explain. It was actually a little daft of me just to take a close up shot without using any wide view but now it is too late to fix it. The picture is of a spring onion in bloom. 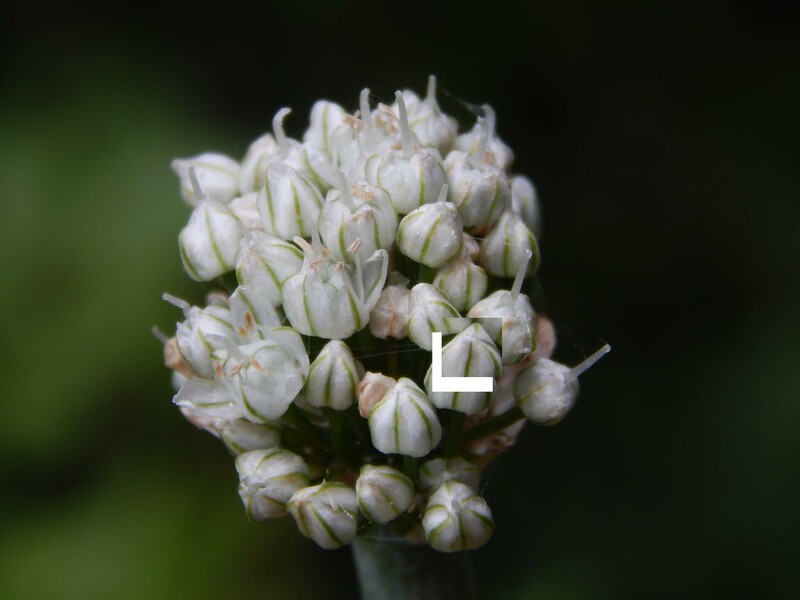 We had some onions which had started to grow green bits in our pantry so we decided to plant them… then left for too long in the plant pot they had now developed a flower, which looks just like the picture above. Posted in Who / What Am I? Bark TimeFlowerOnionPlantSpring OnionVegWho / What Am I? The top photo’s remind me of tiny garlic cloves. What is it? Did not get it right at all, lol. I won’t even guess what this one is. But I like the color. These pictures are just amazing. Congratulations for your breakfast challenge win. Happy week end! awesome photos and posts. I look forward to further posts! COngrats on your wins! I vote for a leaf! Congrats on winning. I LOVE the West Wing. It is one of my favorite shows. Butternut squash, Congrats for winning the seabrook competition. Wow a spring onion? What a trick! I was trying to figure out what in the world it could be. Great pictures!